The Reebok ZigTech 910 Treadmill offers comfort and convenience with an oversized display screen, joint cushioning, and an adjustable cooling fan. It includes a wireless chest pulse strap that continually reads the heart rate, Quick Speed controls, and 30 built in workouts that will automatically adjust the incline and speed to help burn calories. The 3.0 CHP motor runs quieter and cooler than other models, and the tread belt is constructed of a durable fabric that creates little noise. While training, you can connect your MP3 player or iPod. Once your workout is finished, the Easy Lift Assist feature makes folding the treadmill for storage a simple task. This model currently sells for $1,148.99 on Amazon.com. 3.0 CHP Commercial Pulse Motor has more power than the typical treadmill motor. It lets you work out for greater lengths of time while keeping a smooth and consistent run. ZigTech Cushioning system reduces the impact on your joints so that your workout remains comfortable. Backlit display screen is oversized at seven inches. It lets you keep track of your speed, distance, and calories easily. Model includes 30 built in workout Apps that let you reach your goals faster. Each is created by a certified personal trainer. Quick Step Speed Control allows you to go from zero to twelve miles per hour easily. You’ll be able to quickly adjust your speed in order to boost the cardio, burn more calories, and enjoy a proper cool down. Quick Step Incline Control goes from zero to 15%. This lets you enjoy every type of workout from a low impact one to a high intensity workout. Dual Grip AccuRate Heart Rate Monitor comes with a Polar Chest Pulse Strap so you can focus on your heart rate for a more effective workout. Compatible iPod Music Port and Intermix Acoustics 3.0 Sound System with three inch speakers allows you to use your favorite music to motivate you. CoolAire Workout Fan is built in. It gives you a consistently cool breeze during workouts with adjustable settings so you’ll remain comfortable. 20 by 60 inch tread belt gives you a generous space to stretch your stride in. It makes walking, running, or jogging easy. Space Saver Design, along with the Easy Lift Assist, allows you to easily fold the treadmill for storage. The warranty covers the frame and motor for a lifetime, and there is also a one year labor warranty and a three year parts warranty included. This treadmill is quite large. Even when using the Easy Lift Assist and Space Saver Design this machine will take up a large amount of space in your home. The Reebok ZigTech 910 is heavier than many comparable treadmills. This makes it awkward to move. It needs to be placed in a permanent spot before set up. A common complaint among online reviews is that this treadmill often arrives with missing parts. It has also been found that many of the holes needed for assembly do not line up and need to be re-drilled. This machine is iFit compatible, but do note that it is not an independent feature. You will need a wireless home network and an iFit Wi-Fi module to take advantage of this program. The ZigTech 910 treadmill by Reebok has many great features for its price point. The ZigTech cushioning system, Quick Step Speed Control, and Quick Step Incline Control make working out comfortable. When compared to other similar models, this treadmill has many features to make exercising more enjoyable such as the iPod compatible music port, built in workout Apps, and oversized backlit screen. Many of the bad points are easily overcome. If a treadmill does arrive with missing or un-aligned parts, the company’s customer service quickly replaces or sends out needed pieces. Online reviewers were very pleased with how their problems were handled, and although the machine itself is large, most people don’t see this as a problem when keeping it in one designated area. 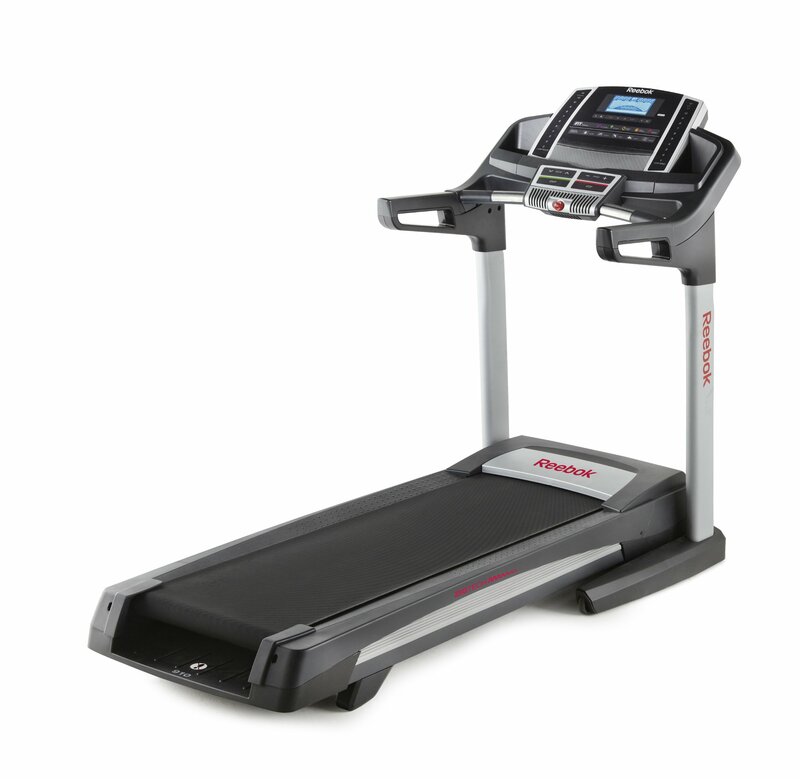 Overall, this treadmill gives you a good workout with numerous helpful features. For the price point, you get a lot for your money, making it a good value.